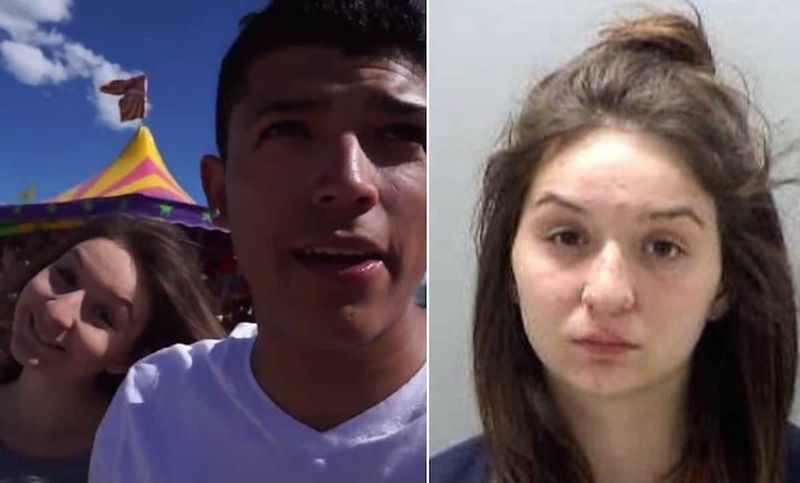 Monalisa Perez sentenced: Pictured the Halsted, Minnesota girlfriend along with boyfriend, Pedro Ruiz whom she shot dead in a youtube prank gone wrong. Monalisa Perez sentenced: A Minnesota woman is sentenced to 180 days jail after a botched shooting prank saw her fellow aspiring YouTube star boyfriend shot dead. A Minnesota woman and aspiring social media star has been sentenced to 180 days in jail for fatally shooting her boyfriend in a stunt they recorded on video and planned to post on YouTube. 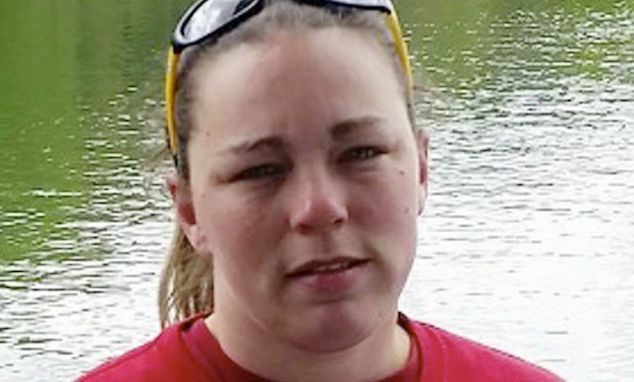 As part of her punishment, usatoday reported a Norman County judge on Wednesday also banned Monalisa Perez from ever owning a gun again. 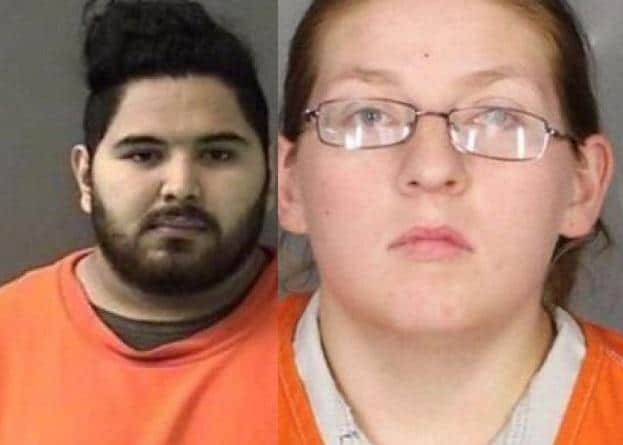 The woman who along with her deceased boyfriend, Pedro Ruiz, 22, had sought to use YouTube as a forum for viral (monetary) success was also prohibited from profiting from the story of her boyfriend’s fatal shooting at their home in Halstad last June. Ruiz’s death came whilst holding a hardcover encyclopedia against his chest while imploring Perez, standing a foot away, to fire a pistol to see if the bullet would go through the book. Ruiz died as a result of the gunshot. The girlfriend’s sentencing follows her earlier agreeing to plead guilty to second degree manslaughter. Monalisa Perez sentenced: the quest for social media fame, fortune at any price. 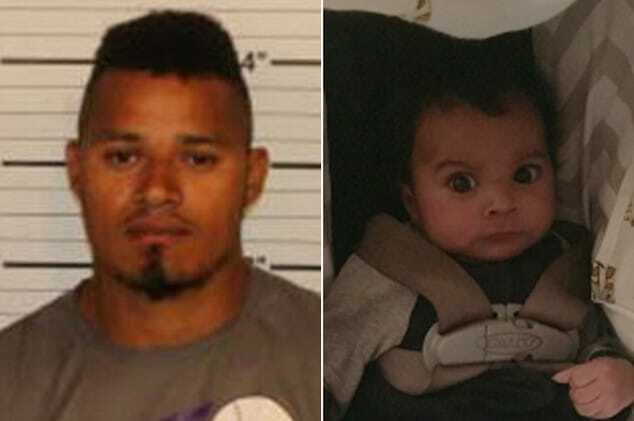 At the time of the shooting death, Perez was pregnant with the couple’s second child. Of note, the couple’s three-year-old child was among the 30 onlookers who watched the stunt, which was captured by two cameras, unfold. The couple who had been building a YouTube following had hoped to further augment their fan base. The Star Tribune reports Perez earlier pleaded guilty to second-degree manslaughter in an agreement with prosecutors. Norman County Attorney James Brue says Perez relied on Ruiz’s assurances before pulling the trigger. 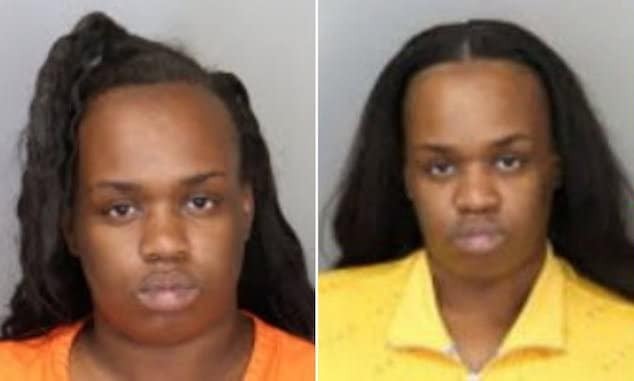 At the time of her arrest, Perez insisted that her boyfriend had been ‘trying’ to get her to do the shooting stunt for a while before agreeing. It wasn’t immediately clear if the woman had at any point expressed disconcert over the idea that seemingly was destined (at least to the casual observer) to result in death. Monalisa Perez: How I shot Pedro Ruiz dead in a failed youtube prank. 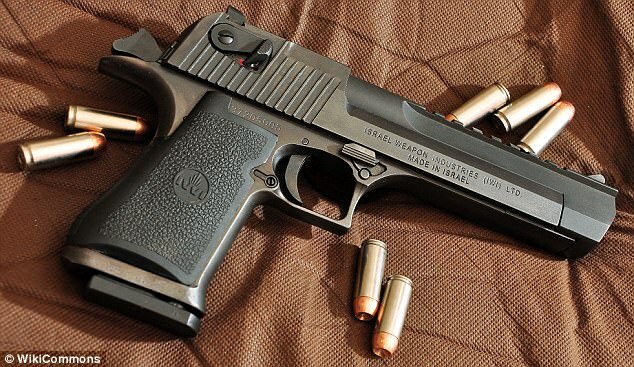 Monalisa Perez sentenced: Pictured the Desert Eagle pistol which the girlfriend used during her shooting stunt that led to boyfriend, Ruiz Perez’ death.